PIPER Meridian. 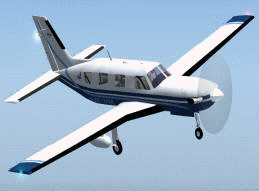 The Malibu Meridian is a low-wing, single-engine turboprop. Its pressurized cabin can accommodate 2 pilots and 4 passengers in club seating. It is powered by a Pratt & Whitney Canada PT6A-42A turbine engine, and can cruise up to 1000 nm at 30,000 feet with a cruising speed of 154 KTAS. 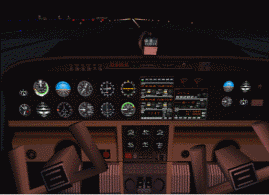 Features of the G1000 version include a Garmin G1000 'glass cockpit', MFD radar traffic, a WAAS GPS unit, an annunciator panel, and a radioaltimeter. Also included are a backup AI, ASI, VOR indicator, and an altimeter. 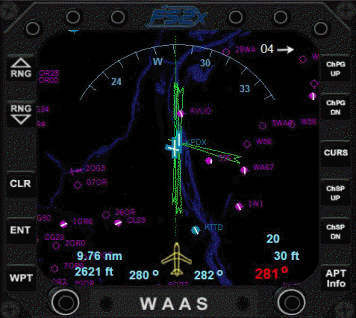 The WAAS, annunciator, and radioaltimeter gauges, as well as an ECU, electrical panel and MFD, are present as popup gauges. The GC version includes a Garmin G330, G430, G530, S-TEC autopilot, and a GMA340 audio panel. 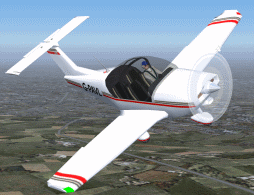 This package will install the Meridian with the option to use the GC or G1000 panel version. All upgrades to date included. Easy installation and instructions included. No other files required. PIPER Meridian G1000. The original PoMans Meridian updated with a G1000 glass panel. Features of the panel include a G1000 'glass cockpit', a WAAS GPS unit, an annunciator panel, and a radioaltimeter. Also included are a backup AI, ASI, VOR indicator, and an altimeter. The WAAS, annunciator, and radioaltimeter gauges, as well as an ECU, electrical panel and MFD, are present as popup gauges. PIPER Meridian GC. The original PoMans 'glass panel' Meridian. 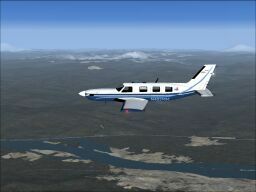 Features include interior views, a Garmin G330, G430, G530, S-TEC autopilot, radioaltimeter, and a GMA340 audio panel. 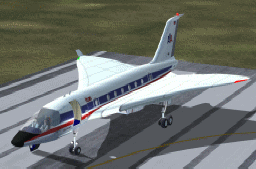 Custom flight dynamics are included to make this bird fly smoothly and more realistic. AVIONS Robin 3000. Fully animated pilot. Can be easily seen 'working'. Push/pull/rotatingyoke. Rudder pedals. Usual moving parts. Semi-transparent prop technique. Opening canopy and removable cover reveals the engine. Virtual cockpit. Switchable gauge illumination in VC and 'L' key in spot view. Very nice panel by Matthias Lieberecht. A/C Design and Paint. 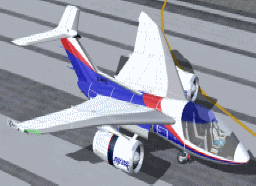 A fictitious Boeing 575-200 (Gmax/FSDS2) with 2 texture sets, demonstrator and private. Animated parts: full pilot, flight controls, spoilers, flaps and slats, lift dumpers, thrust reversers, gear with struts, wheels, suspension, canopy, ailerons, elevators and rudder. Polished aluminum reflective textures. Full lighting with individual switches, including splash effects, logo splash, gear inspection lamps and double flash strobes. True rotating beacon and rain spray. Editable registration number. Auto smoke, wing mist and wingtip contrails. 3D views and DVC with real gauge illumination. Full original XML panel, mostly CRT touchscreen technology (mouse). XML original gauges including auto features (examples, auto take-off and landing). Panel sounds. 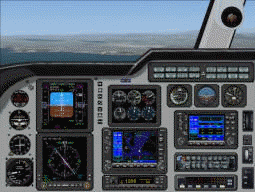 Integrated CRT pop-up windows, including GPS, Radios with memory banks, clock/timer/alarm, fuel computers, selectors and fuel dump, day/night HUDs, AIRadar. Also XML moving sectional chart gauge for the UK. Complete sound set. See C26_Readme text for full details. Fictitious BAE Systems C4-SST (Super Sonic Transport) (Gmax/FSDS2). 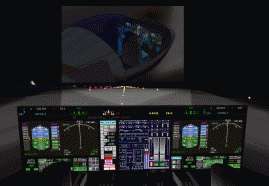 An update to enable FS2004 features. Full XML panel and VC with true illuminated gauges. Additions include two pax doors, one without steps to allow gate docking, rain spray, engine hours, two liveries (American Airlines and original IAT), full lighting and effects. Also XML moving sectional chart gauge for the UK. Original stereo engine sound set included. SeeC4SSTv3_Readme text for full details. fs2x_WAAS GPS Navigation System version 2.0. The Wide Area Augmentation System is a relatively new system for horizontal and vertical navigation that uses satellite based signals only. This presumably will eventually eliminate the need for ground based equipment and signals, and allow the user to land on any runway at any airport in the GPS database. This is the purpose of this gauge for FS9 and FSX; land at any airport in the FS data base with lateral and vertical guidance. This unit features a moving map, a popup airport information box containing the designated wpt and runway identities, runway length, runway type, and lighting availability, various navigational data such as distance and direction to the designated runway, variable brightness screen, wpt airport altitude, zoom out and in functions, and ILS-like needle and scale for referencing position. This upgrade adds a number of new functions to the fs2x_WAAS GPS unit. Six new buttons have been added to turn on/off a moving map, terrain map, ILS markers, flight plan line, lubber line, and an arc compass. This upgrade adds a number of new functions to the fs2x_WAAS GPS unit. Six new buttons have been added to turn on/off a moving map, terrain map, ILS markers, flight plan line, lubber line, and an arc compass. Garmin GTX330 Transponder. Functions include transponder code entry, pressure altitude, density altitude, altitude monitor, flight timer, count up and count down timers, and a screen bright/dim capability. Install instructions for panel mount or popup. 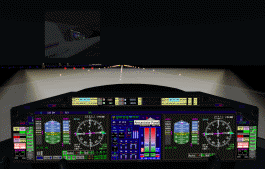 This XML gauge is included in the FS2004 Concept Design Private Jet v2.6 and the FS2004 Concept Design BAE Systems C4-SST Aircraft v3.0 shown on this page above. The sectional chart of the complete British Isles moves according to the aircraft's position. The aircraft's position is in the centre of the window. The gauge can be extracted and installed into any other aircraft (instructions not given). 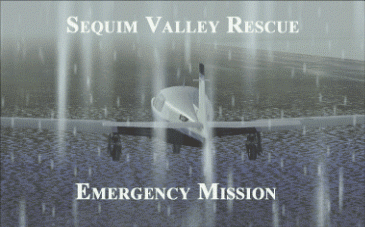 FSX Sequim Valley Emergency Rescue Mission. Fly from Port Angeles Cgas (KNOW) to Tacoma Narrows (KTIW) in severe IMC conditions to pick up medicine from a delivery van and return to KNOW. KNOW does not have an ILS navigation guidance system for landing. Use the fs2x_WAASv2.0 GPS unit. Available from this site. Garmin GNS530 GPS. 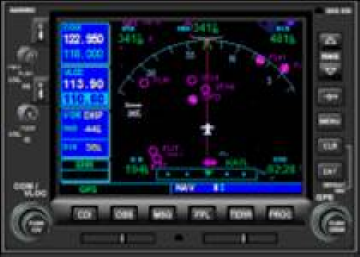 Features include 3 different display screens, navigation and communication transceiver capability, Direct-To navigation, a zoomable, moving map, the 9 nearest airport, VOR, and NDB displays, airport pages, many navigational parameter readouts, OBS and GPS navigation, approach procedures, and more. A Flight Plan page displays relevant information, such as ETE, distance and direction, for each waypoint in a flight plan. The moving map background can be changed to display the corresponding terrain. The unit can be used as a Nav/Com1 or Nav/Com2 transceiver. Install instructions for panel mount or popup. 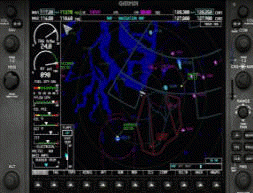 Garmin GNS430 GPS. Features include 3 different display screens, a default Map page, a Nav Map page and a Position page. There is also navigation and communication transceiver capability, Direct-To navigation, a zoomable, moving map, the 9 nearest airport, VOR, and NDB displays, a side Nav bar, airport pages, many navigational parameter readouts, OBS and GPS navigation, approach procedures, and more. A Flight Plan page displays relevant information, such as ETE, distance and direction, for each waypoint in a flight plan. The unit can be used as a Nav/Com1 or Nav/Com2 transceiver. Install instructions for panel mount or popup. FS2x.com ï¿½ 2005-2010 by FS2x. All rights reserved. Welcome to the fs2x Freeware Page. All FS products listed on this page are free and can be downloaded by clicking on the product title. Unless state otherwise, all products work in both FS9 and FSX. The installation details for freeware are normally given in a text file in the downloaded freeware file. Support for these freeware products can be obtained through our Forum.